Smart-Bit® Pre-drilling and Countersinking Tool for Fiber Cement Board | Starborn Industries, Inc. 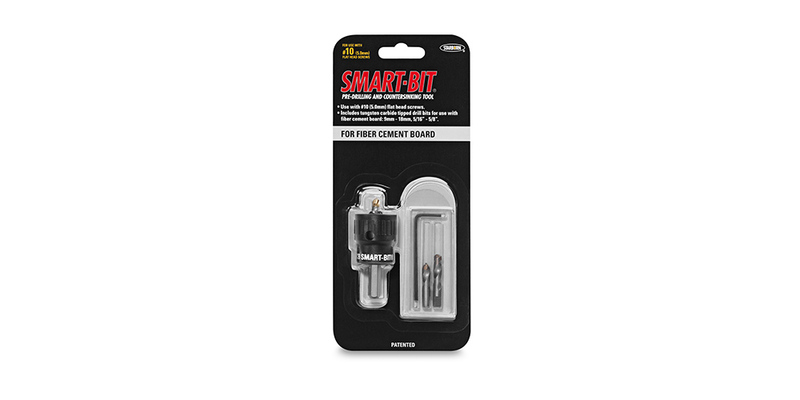 The Smart-Bit for Fiber Cement Board is a tungsten carbide tipped pre-drilling and countersinking tool. Like other products in the Smart-Bit line, it is designed to create a perfect hole and fit for matching fasteners. The Smart-Bit for Fiber Cement is the first tool that makes it possible to pre-drill and countersink materials like compressed fiber cement board in one step at a consistent depth, without damaging the work surface. 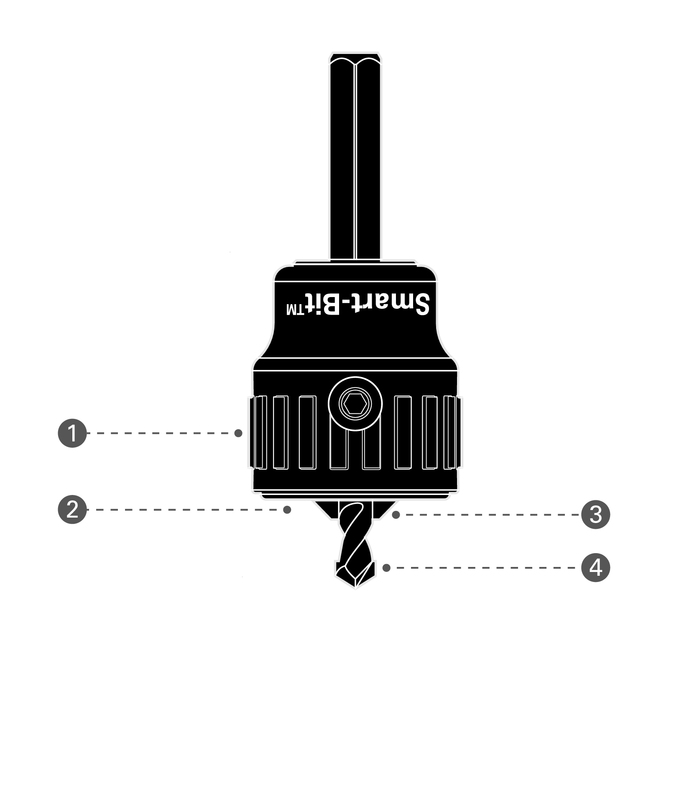 The Smart-Bit tool features a free spinning stop collar, which controls the depth of the drill and countersink. The stop collar is fitted with a rubber O-ring to prevent surface damage or marking. 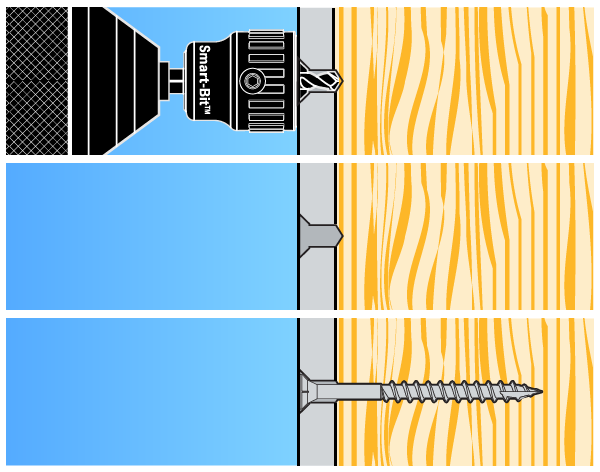 Smart-Bit® for Fiber Cement Board installation diagram. 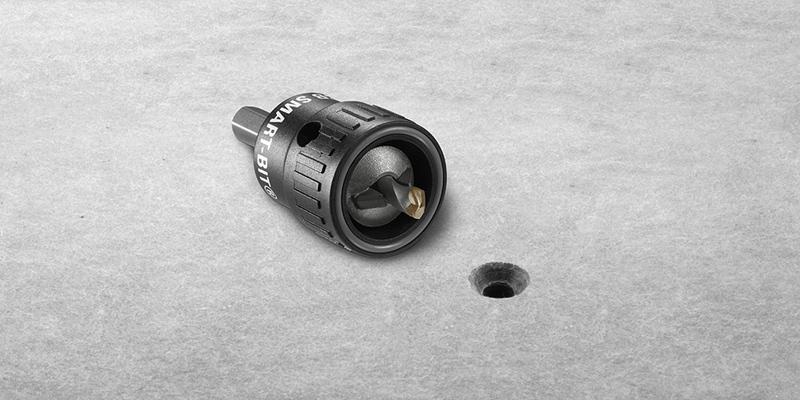 The Smart-Bit stop collar spins free of the drill bit, preventing surface damage or marking. When the stop collar stops spinning, the hole is complete. The Smart-Bit debris cavity gathers waste material, keeping it clear of the countersink, unlike conventional flush mounted countersinks. The waste simply falls out of the tool after each hole is completed. Tungsten carbide tips on the drill bit, as well as the countersink, remain sharp after extended use. Each package contains two different length drill bits, for use with different thicknesses of compressed fiber cement board. Together with the countersink, the overall hole depth is calibrated for use with either 5/16” (9mm) or 5/8” (18mm) thick fiber cement board, depending on which included drill bit is used. Installed fasteners sit slightly below the board surface, leaving room for resin that may be applied on top of the screw in some applications. Smart-Bit for Fiber Cement Board product features.